While Texas A&M is one of America's most successful programs, the Aggies do not measure success by wins and losses alone, but in the style and quality of the performance of everyone involved. Texas A&M soccer players are renowned for their extremely high level of sophistication, speed of play and game savvy, due in large part to the exceptional coaching received in daily training. 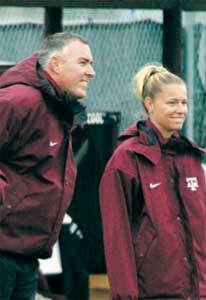 Coach "G" is the architect and leading force behind the national success of Texas A&M Soccer. He applies the same type of attention to detail of guiding the Aggies as he does in orchestrating each Texas A&M soccer camper's experience in Aggieland. In his 16 years at Texas A&M, he has turned the Aggie program into an Elite National Power, winning nine Big 12 Conference Championships and amassing an amazing 288-85-18 record versus America's best teams. Texas A&M is the only program in the Big 12 and surrounding region to be consistently ranked in the National Top-10 since 1995 and is the only program to have earned selection into the NCAA Championship Tournament for thirteen consecutive seasons. Guerrieri has been selected the Big 12 Conference Coach of the Year twice and is a five-time collegiate Coach of the Year. He holds a degree in education, a USSF "A" license, an NSCAA Advanced National Diploma, and has vast experience with both the National and Regional youth ODP programs. Texas A&M soccer players and campers are blessed to train under the direction of one of America's most gifted and innovative coaching staffs. The husband and wife duo of Phil and Lori Stephenson are living proof that the Aggie community is family oriented. Phil Stephenson starts his tenth year as assistant director of the Texas A&M Soccer Camp, bringing with him experience from collegiate, youth, and Olympic development successes. 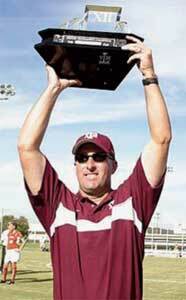 Prior to his arrival in Aggieland, the Hornsea, England, native led Methodist College to the 1995 NCAA Division III national championship game and was named the regional and conference coach of the year. As a player, he was an All-American at Lock Haven University. The former Lori Silvasy of Fayettville, N.C., was an accomplished player herself as she was named to the NSCAA All-American team following the 1986 season as well as being named the North Carolina Female Athlete of the Year. 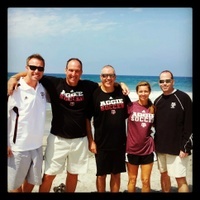 Texas A&M camp coaches give players outstanding instruction and insight into what it takes to succeed in the most competitive environments and are exposed to many of the best male and female college coaches in America. The Texas A&M Soccer Camp Coaching Staff is made up of talented Professional, NCAA, NAIA, NJCAA, Olympic Development, and High School coaches and assisted by many of A&M's current varsity players, which creates a challenging, educational environment for all our campers. Staff members are challenged to develop the technical and tactical skills of their students through exciting, fun, and demanding training sessions. © 2019 Texas A&M Soccer Club. All rights reserved.